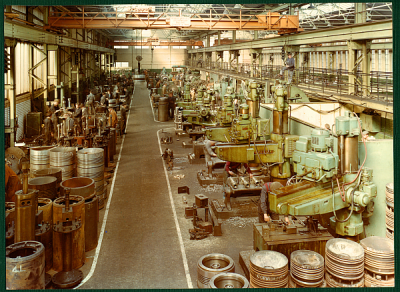 William Doxford & Sons, (Engineers) Ltd. 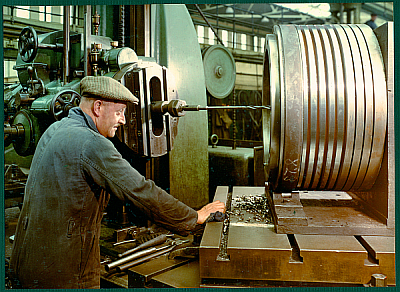 These photographs, are from an album lent to the Doxford Engine Friends’ Association, in 2003, by Jim Duncan. 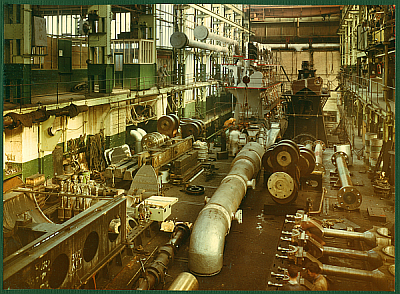 Evidence from work in progress, suggests that they were taken in 1957 and 1958. 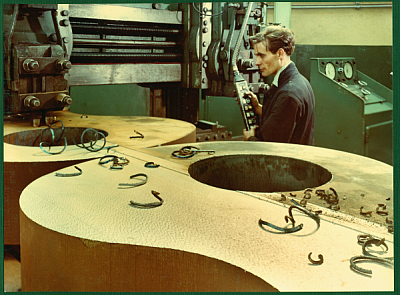 The names under the pictures, refer to the worker(s) in the picture. 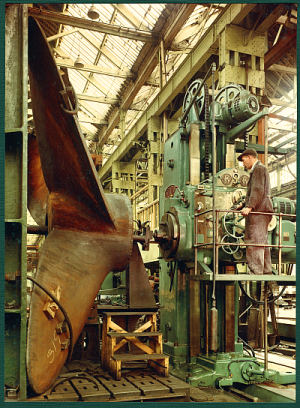 Anyone who can further identify people featured in the photographs, or who wishes to provide other additional information, is asked to contact the Doxford Engine Friends’ Association at the contact details at the bottom of this webpage. 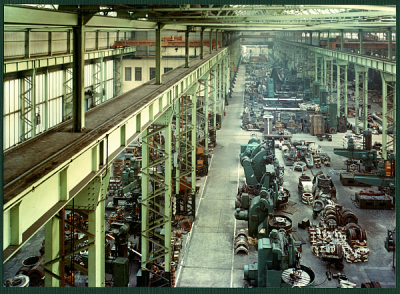 The biggest and most important part of the engine was made here. 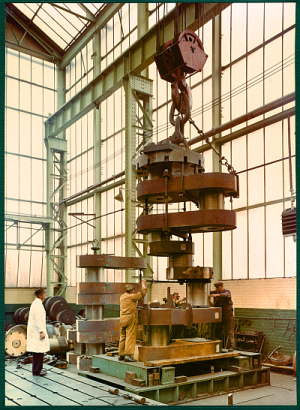 The components were partly machined, then shrunk together to make crankshafts of up to 140 tons. 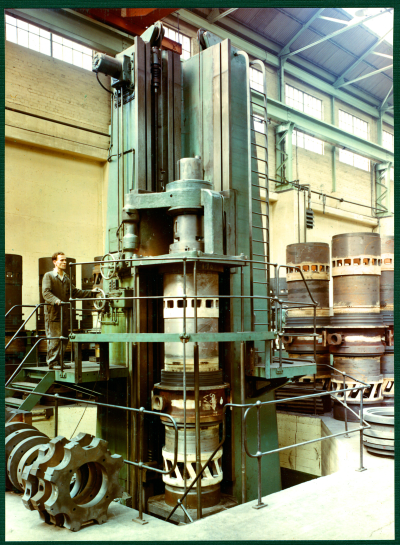 These were then machined in the final operation in huge lathe, and afterwards coupled together on a marking table and built into a complete crankshaft of up to 9 cylinders incorporating a thrust shaft. 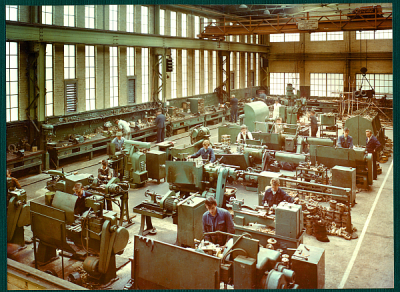 The lathe section consisted of a number of small lathes used for making small components, and where apprentices were taught how to operate centre, capstan, and chuck lathes. 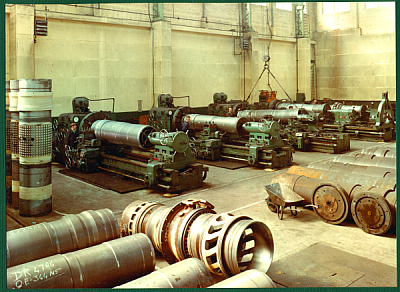 This department was made up of lathes, vertical and horizontal bores, drilling machines, making-off table, two liner boring machines, and a fitting section, all involved in the making of cylinder liners for the engines. 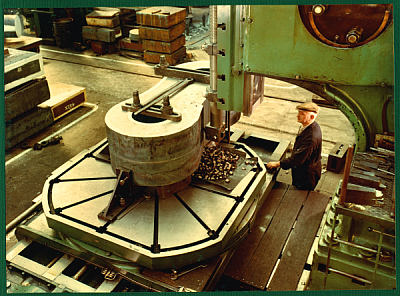 The cylinder liners came into this section as a rough casting, and ended up the finished article without moving from the department. 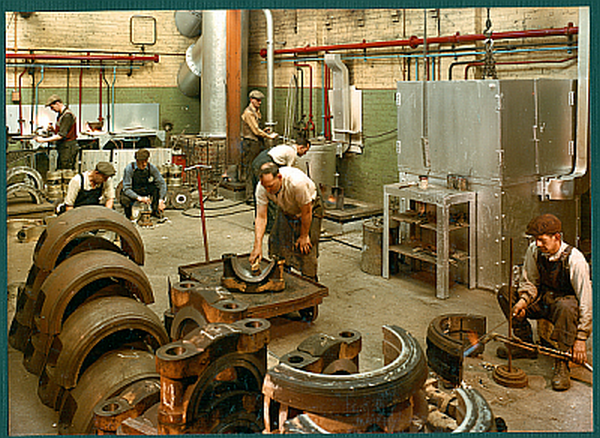 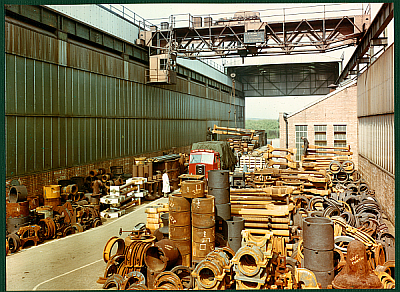 General View over Machine Section in Brassfinishing Dept. 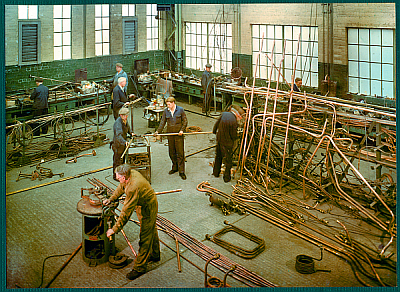 Copper Pipe Bending and Brazing in Brassfinishing Dept. 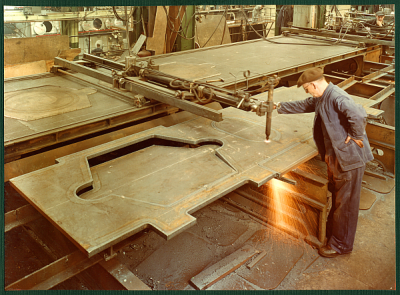 This was a considerable area, however it was devoted to the flame cutting of the steel plates from which the bedplate, columns, and entablature structures were fabricated for welding. 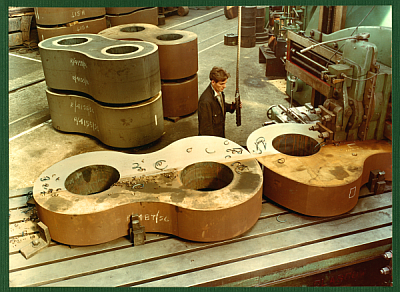 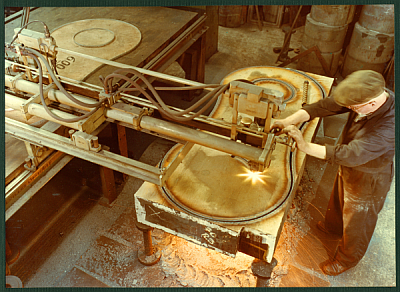 Steel plates of up to 50 mm (2") thick were employed for these items, and was cut to the required outlines on a battery of four Hancock oxygen-cutting machines. 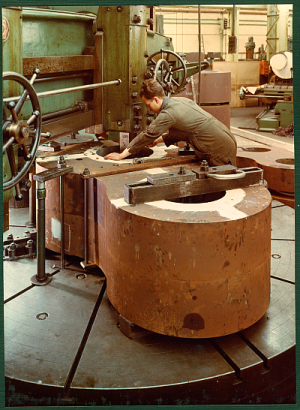 Patterns for the cutting operations were made from heavy plywood with aluminum strips nailed to the edges on which the motor driven guide wheels ran. 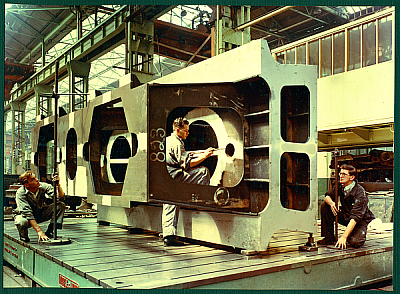 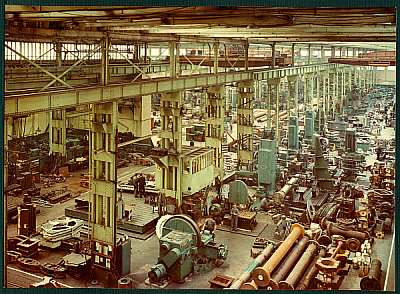 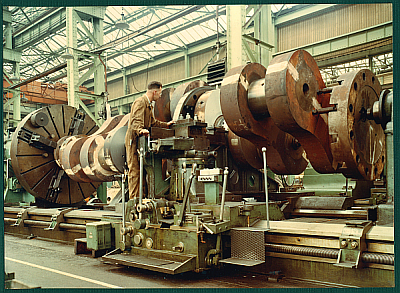 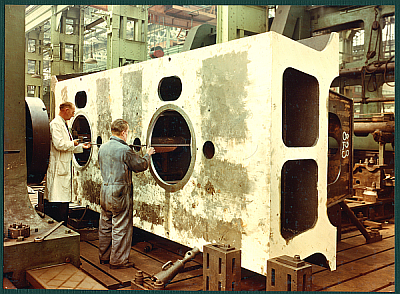 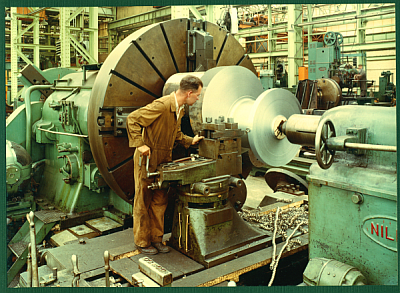 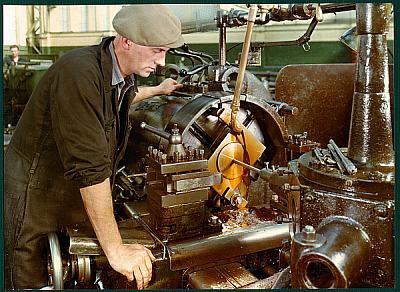 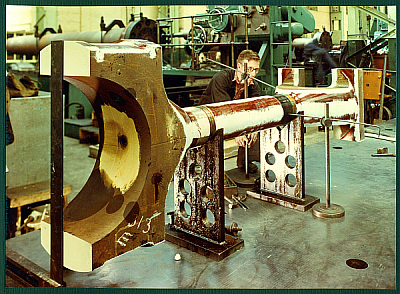 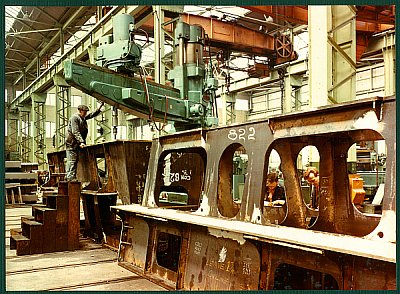 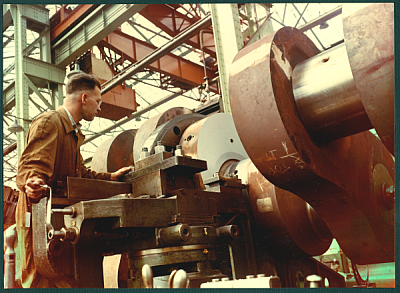 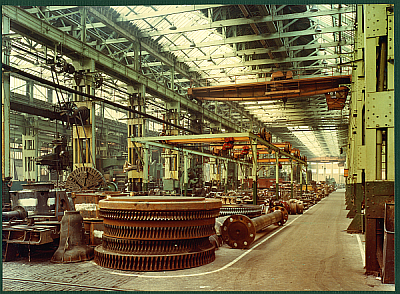 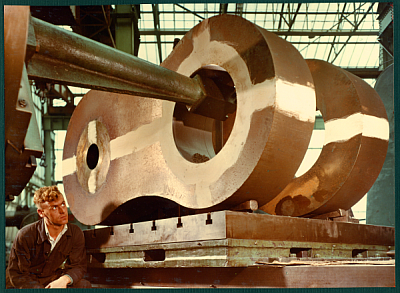 The crankshaft webs were up to 330 mm (13") thick were also cut to shape on these machines. 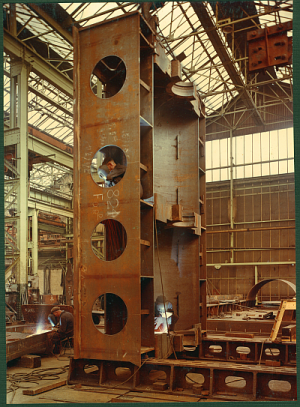 Welding was carried out in a bay adjacent to the flame cutting machines, and was performed mainly by down-hand methods, and overhead crane were employed to turn the structure as necessary, to present the seam in the most convenient position for welding. 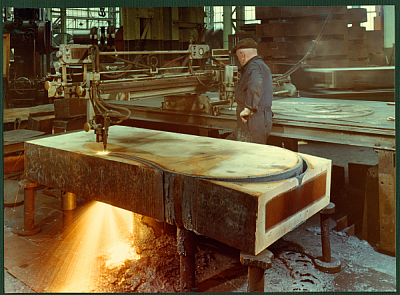 The complete structures were heated in a large furnace to remove all internal stresses before machining operations were carried out. 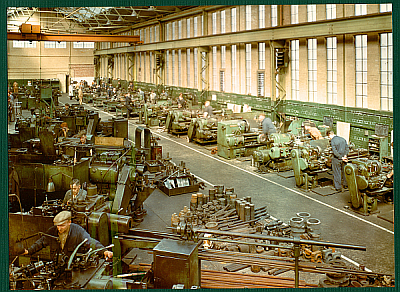 This was the shop where assembling, running and testing of the main engine occurred. 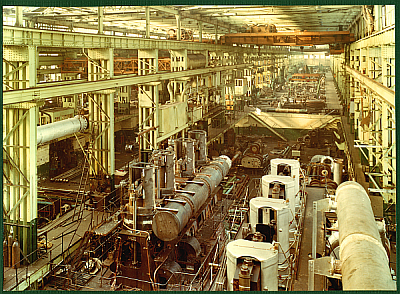 There were three bays that were able to accommodate six engines being built at the same time. 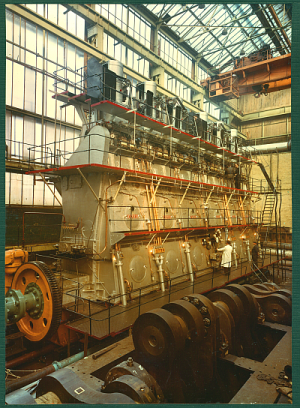 An engine, after being erected, was the given a thorough test by running it for various lengths of time, before they were partially dismantled and installed in the ships they were designed for. 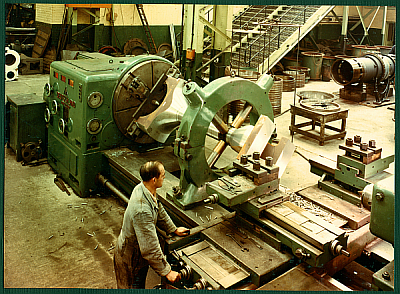 This department was well equipped with large machines tools, among which, were two planning machines, able to take work pieces measuring 4.88 m (16 feet) by 10.69 m (25 feet) long, and up to 2.75 m (9 feet) high. 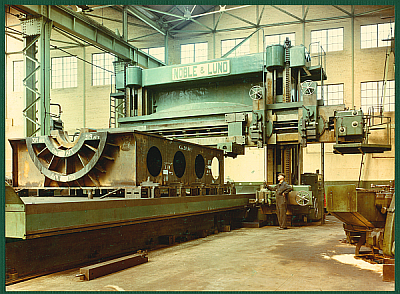 These machines were used for planning the large fabricated structures, that are built in the fabrication shop. 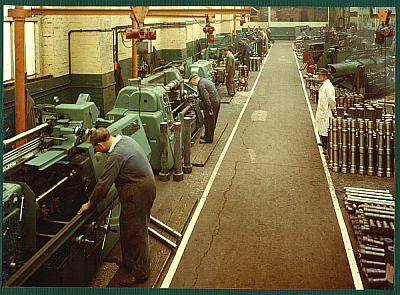 These machines were fitted with milling heads to speed up the cutting operation, and ensure a better and more exact finish component. 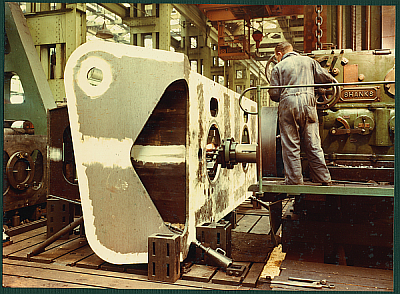 Boring operations were on main bearing housings, and were carried out on a Morando borer, situated in the erecting shop. 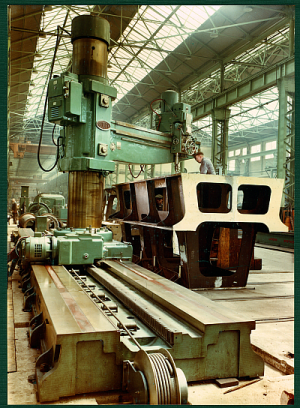 This machine was installed there to facilitate the large bedplate structure with the overhead crane, as well as being adjacent to the engine test bed, where the bedplate was moved after the boring operation. 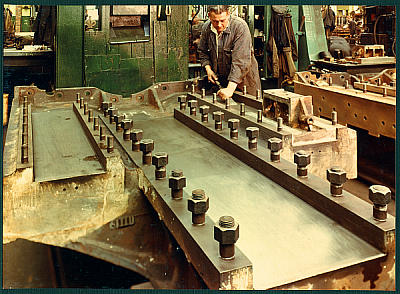 Before the boring bar was placed in position special cross beams were located on the machined upper face of the bedplate. 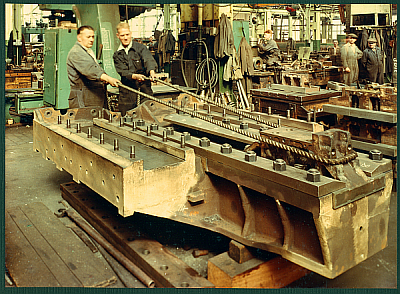 These beams incorporate bearing housings for special bearings on the boring bar. 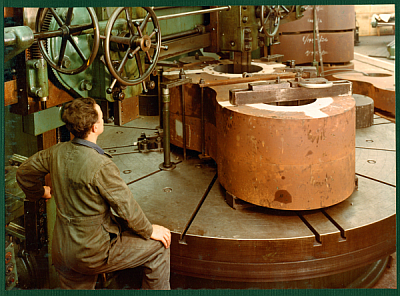 The cutting tools are fixed to collars on the bar and were adjusted to cut the correct radius, being then fed through the bedplate housing by means of the Monrando machine spindle, which was coupled to the end of the bar. 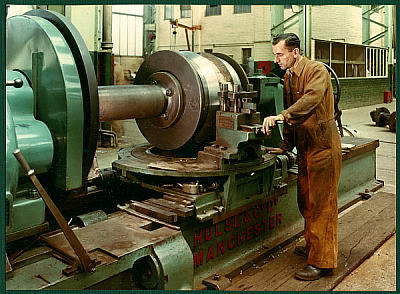 In this department were turned the main intermediates and tail-end shafting on two long lathes. 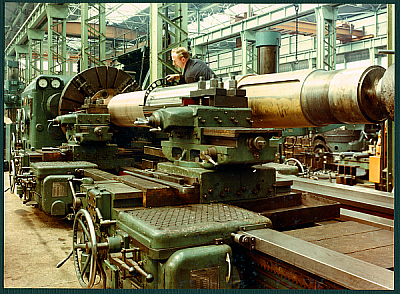 Next to the machine were two smaller lathes that turned the connecting rods and piston rods. 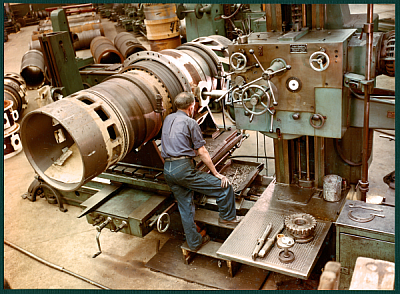 Also there were a number of plano-milling machines, which made many of the smaller components for the engine. 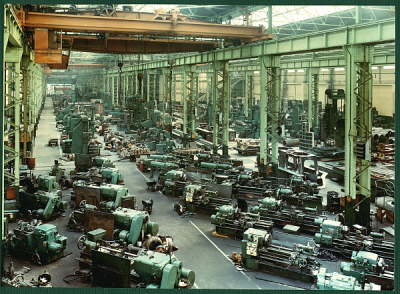 - The drilling section consisted of a cluster of various types of drilling machines, whereon the majority of the drilling was of engine components. 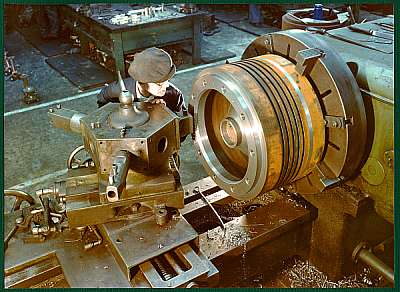 - The vertical boring section, coped with multitude of jobs needed for the engine that was difficult to turn in a conventional lathe. 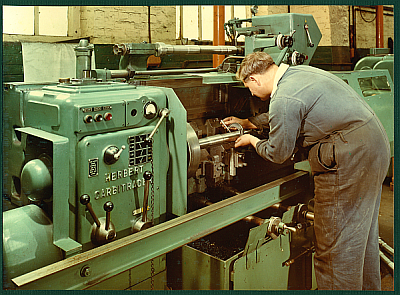 - The last section in that department consisted of a number of horizontal boring machines. 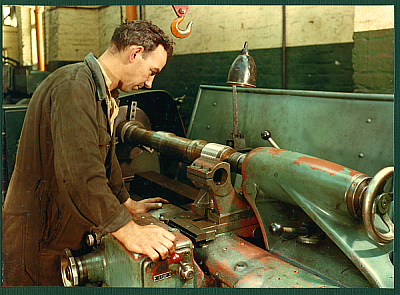 Some of which were concerned with boring of main bearings, and others bore the boltholes in all the connecting rods. 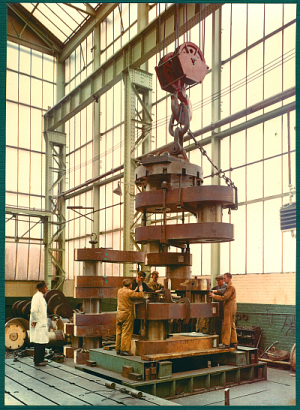 As it names implies, it dealt with the smaller parts of the engine being assembled into very intricate pieces such as various types of valves, piston water service gear, fuel pump oil bottles, spray plugs and pilot rams. 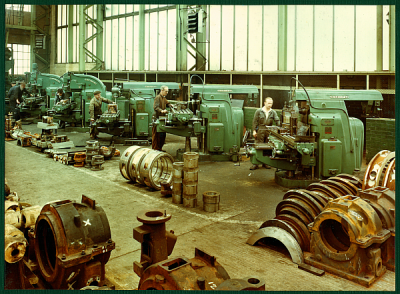 All fuel pumps, control boxes, camshaft and camshaft bearings, upper pistons cooling gear, Brodie and relief valves, gas valve, and cylinder lubricators were assembled here, before being set in place on the engine. 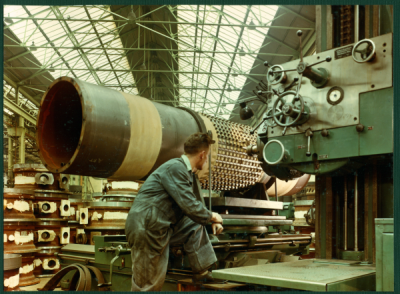 Preserving and promoting the history of the Doxford Engine Works, its products and the people who designed and made them. 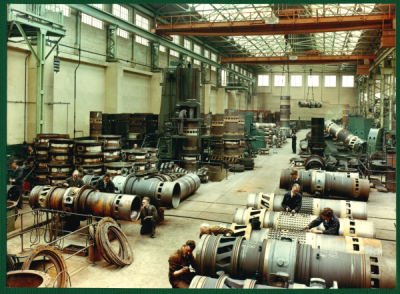 Bringing together people who have an association with the Doxfords, or an interest the history of the works and its world renowned opposed-piston marine oil engines. 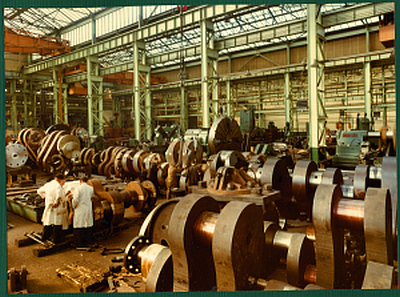 Membership of the Doxford Engine Friends Association is open to all who are interested in supporting these objectives. 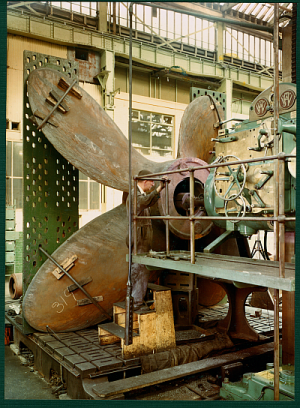 Contact The Membership Secretary care of the above Museum address. 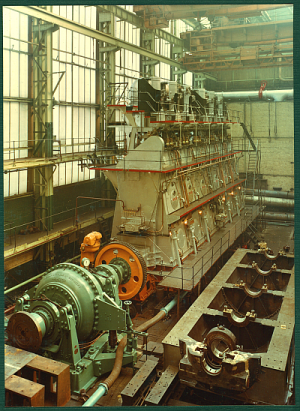 In this special Doxford area of Martin's Marine Engineering Page - www.dieselduck.net, you can also find the Introduction Page, Various Systems Drawing Section, and the Damaged and Repairs Section. 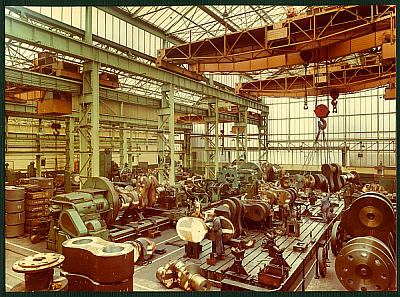 Or you can go back to the home page of the site.